Do you have an Eclectic Design Style? Why it's a Good thing! I find that most of my clients are embarrassed with having an eclectic design style. I've had over 100+ people take my design quiz, and "eclectic" was the one style choice that many resented or were ashamed to admit was their quiz results. Why? 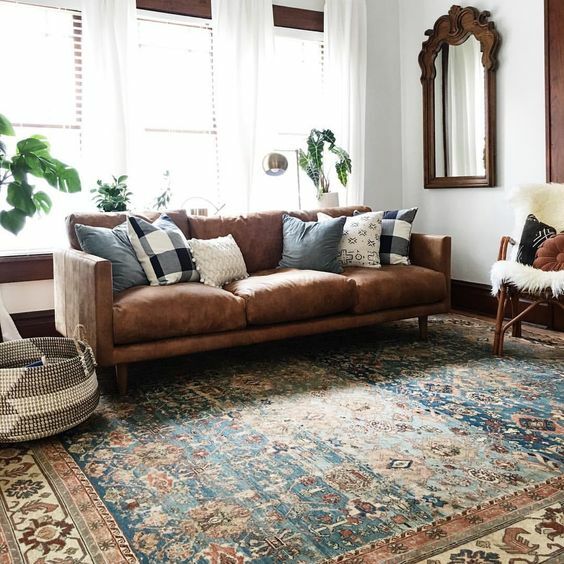 Many think that having an "eclectic" design style is just a polite way of saying, "Girl, your house looks like a hot mess." But that's far from the truth! If your style is eclectic, that doesn't mean your house is a cluttered mess. Although, that may be true if you haven't yet found a seamless balance of mixing and matching styles. Having too much of anything is never a good thing, especially in design. Having an aesthetic that doesn't fit into one particular box but is that necessarily a bad thing. Having an eclectic design style means that you know exactly what you like and that you appreciate multiple styles; and that is why being "eclectic" is actually a good thing! Don't be ashamed for your love of many interests! That is what makes you interesting! Our past experiences and passions are the things that shape our lives and make us one-of-a-kind. Embrace your inner uniqueness. Being eclectic means that you have effortlessly found a way for everything you love to coexist with each other in the same room. You are an expert collectivist and curator. Modern style can live with traditional and rustic styles can live with contemporary, and so on! If you can do this, give yourself a pat on the back for reaching the intermediate level of decorating. Mixing and matching styles is not easy! If you are an eclecticist, it means that you are multi-passionate and aren't afraid to break the mold. It shows that you have varying interests which therefore, reflect your story and personality. So why not embrace the fact that you love a little bit of everything? Being different is what makes you, YOU. So if you feel ashamed with your style, I'm am giving you permission to OWN your eclectic style! Embrace it. Love it. and Keep Styling it! So how do you decorate with an eclectic design style without your home looking like a hodge podge mess? Complimentary Finishes: When it comes to finishes, you can mix and match but it has to relate to something in the room. So let's say you have an end table with brass legs, and you have a mirror that is burnished antique gold. Contrasting Elements: I like to mix streamlined furniture with elements with curves. The contrast of masculine elements vs feminine; adds a layer of softness to your room. This goes for any room. Too many straight lines may feel too severe or harsh, it's always best to add contrast with items that have curves to add softness. Balance: When I refer to creating balance, I am speaking of the "visual balance" your items create and the contrast against one another. The key to any successful room is to have balance. If you have a tall window on one side of the wall of your room, but nothing on the other side, you can create visual balance by adding a bookcase on the other side. The goal for decorating with an eclectic design style is to make sure that each item has at least one similarity to something else in the room. All furnishings should relate to each other in one way or another to connect. Here are a few of my favorite inspiration photos where eclectic design was executed beautifully!